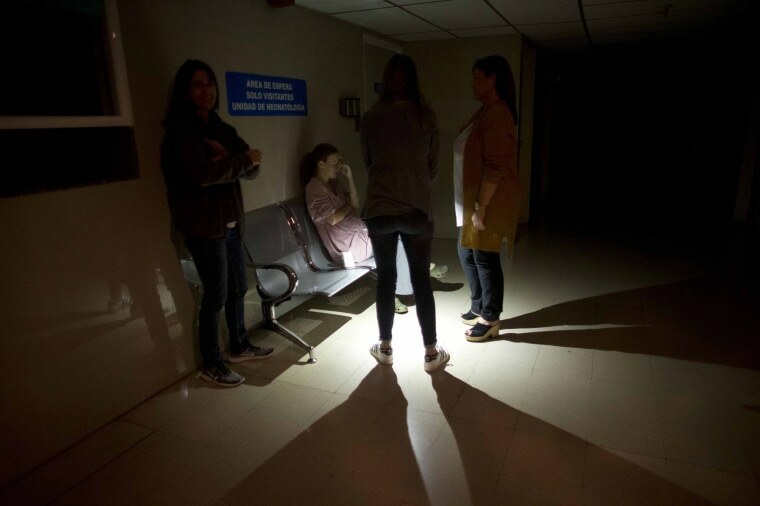 CARACAS, Venezuela — Hospitals struggled to get back-up generators running, businesses shuttered and families anxiously tried to contact loved ones amid Venezuela’s worst-ever power outage Friday, raising tensions in a country already on edge from ongoing political turmoil. The blackout was reported to have hit 22 of 23 states, striking during the peak of evening rush hour Thursday, sending thousands of people on long nighttime treks home through some of the world’s most violent streets. Maduro ordered schools and all government entities closed and told businesses not to open to facilitate work crews trying to restore power. By early Friday afternoon, residents and pro-government state broadcaster VTV reported that power was starting to return to parts of Caracas. The stoplights in several neighborhoods were back on while in one office building the electricity flickered to life and then turned off. Venezuela’s socialist government blamed the power failure on right-wing extremists taking orders from the United States, including Florida Republican Sen. Marco Rubio, and said they were intent on causing pandemonium for several days but offered no proof. U.S. Secretary of State Mike Pompeo shot back saying only Maduro was to blame. The outage comes as Venezuela is in the throes of a political struggle between Maduro and opposition leader Juan Guaido, the head of congress who declared himself the nation’s rightful president in January and is recognized by the United States and about 50 other nations. Without power to charge cell phones, normally hyper-active social media was eerily quiet. Those who managed to get a signal used the hashtag #SinLuz — meaning without light in English — to share images of cities throughout the country that on Friday resembled ghost towns. One user posted a video of a nurse manually pumping air into the lungs of an infant. Others posted photos of long lines of cars queuing up at gas stations in hopes of getting fuel. A man anguished that he’d gone 17 hours without hearing from his mother. Netblocks, a non-government group based in Europe that monitors internet censorship, said online connectivity data indicates the outage is the largest in recent record in Latin America. The observatory warned Friday that some of the remaining networks were starting to fall offline as generators and backups began depleting and cell towers shut down. At the maternity ward at the Avila Clinic in wealthy eastern Caracas Thursday night, several mothers wept as nurses held candles to monitor the vital signs of premature babies in incubators. Zaida Rodriguez, 40, a cardiovascular technician, walked several miles to the private clinic where she works only to be told by bosses that she should leave because the facility would treat only urgent cases and operate with a skeletan staff in order to save on power.